The first Liebster-qualifying question posed by Bright Blue Line, “What Inspired You To Start Blogging?” is addressed briefly on my “Get Down With Me” page. I’ll try to expand without boring you. I’d like to preface this by saying that I am pro-choice. Whatever your position, I respect your right to your opinion and I expect the same from you. This post is NOT an invitation to debate that issue. I just don’t want what I say next to be misinterpreted as an argument for outlawing abortion. It is simply an argument for access to information. Currently, 97% of pregnancies testing positive for Down syndrome are terminated. Ninety-seven percent. There are hundreds of thousands of people with Down syndrome living in the U.S., but most of those people are not part of that other three percent. Most people with Down syndrome were diagnosed after birth. All that is changing. There are now several tests on the market that can screen for Down syndrome earlier, more accurately, and less invasively than ever before. Easier, more efficient screening means more prenatal diagnoses – and more terminations. This information was what pushed me out of my comfort zone and into the blogsphere. I don’t have a problem with prenatal testing; I had prenatal testing. However, have you ever heard the phrase “knowing just enough to be dangerous?” It means a person has knowledge, but just enough knowledge to provide a false confidence, and not nearly enough to know all the possible consequences of their actions. When medical professionals provide expectant parents with a diagnosis but no additional information about Down syndrome, they are really giving them just one piece of the information they need to make an educated decision. Prior to testing, my husband and I had discussed the possible outcomes and decided that we would not terminate the pregnancy if the baby had Down syndrome. Yet, when I heard the diagnosis, my first instinct was to terminate because I didn’t know anything about Down syndrome. Like most people, I was afraid of the unknown. I took to the internet, intent on informing myself before making such an important decision. I found a lot of statistics. I found reports of all the medical problems that could affect a person with Down syndrome. I found a lot of outdated information. I found a lot of postings from other mothers and fathers looking for answers, just like me. I did not find what I was looking for – What is it like to live with Down syndrome? 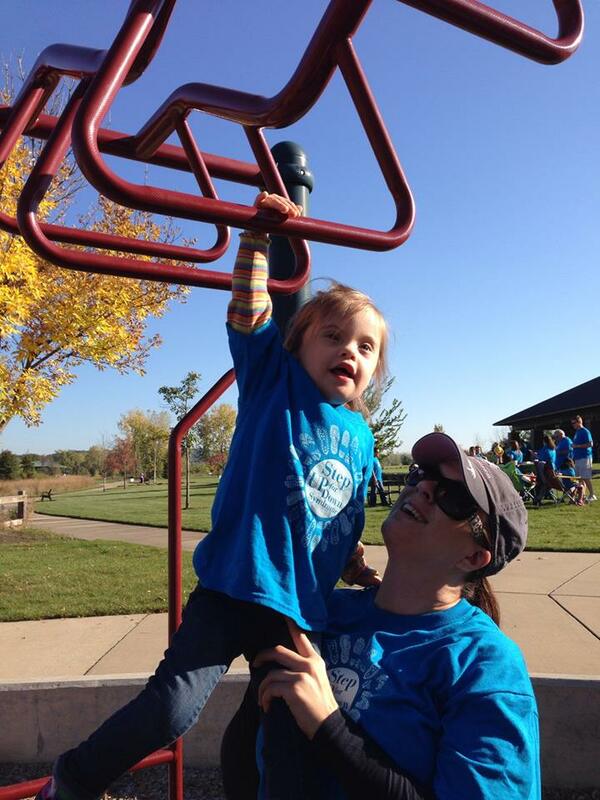 What does it take to raise a child with Down syndrome? Ultimately, thousands of families in the U.S. alone will be put in that same position each year. I hope when they Google “Down syndrome diagnosis” my blog will pop up, along with the others that have started showing up on the web in the last few years. I hope that I am helping these families make an informed choice. I believe that some of them will choose to continue their pregnancies. I am glad I did, and I think other families will feel the same. Basically, I decided to use my powers for good instead of evil.